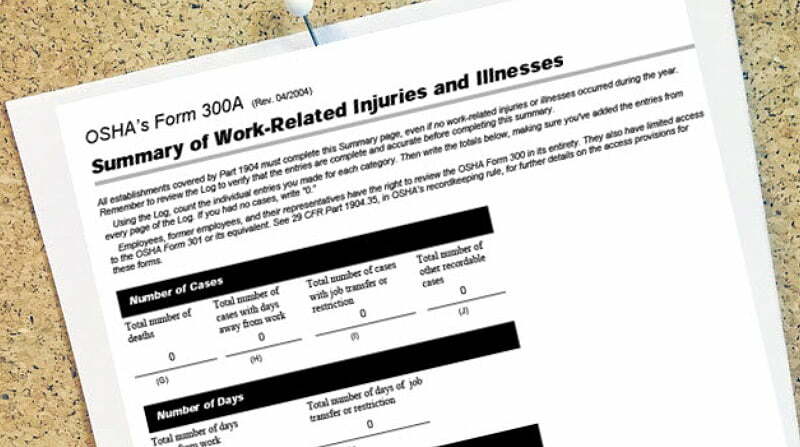 OSHA Form 300A, the Summary of Work-Related Injuries and Illnesses, must be completed and posted by February 1, 2019. The summary must include the total number of 2018 job-related injuries and illnesses that were logged on your OSHA 300 form. If your company had no recordable injuries or illnesses in 2018, you must still post the form with zeros on the total line. All summaries must be certified by a company executive and remain displayed in a common area between February 1 and April 30, 2019. Employers with ten or fewer employees at all times during the previous calendar year are exempt from routinely keeping injury and illness records. Employers in certain industries may be exempt from federal OSHA injury and illness record-keeping and posting requirements. Click here to find out if your industry is exempt. With Hellman & Associates’ annual ASSUREDComplianceSM program, we’ll keep up with changing regulations, keep your program and training current, and manage compliance and reporting for you. As an ASSUREDCompliance partner, your regulatory compliance is guaranteed, meaning if you incur a citation for something we should have managed, we pay for it.